Style: I haven't written much C++ before, so I'm interested in knowing better or more idiomatic ways of formatting or structuring my code. Performance: Am I doing anything that's needlessly slowing down my program, or that I could optimize out? The namespace identifier is missing from a lot of names - e.g. std::sqrt, std::log, std::abs, std::stoi, std::stod. It's not portable to rely on the unqualified names being defined. I've changed argc to be int rather than int&, and constructed the strings in-place in the vector. The Vec3D class misses some of the obvious operators you might need in future (+=, /=, etc), but you can add them when you need them. The default memberwise == would be the same as what you've written, so you don't actually need == or !=. But they aren't very useful anyway, as comparing floating-point values for equality doesn't usually work as we want. The operators that we do have can all be declared const (and accept double arguments by value rather than by reference). Having written all this, I later discovered that we were only using this class for interpolating pixel values (see later in answer), and it got excised from my final version. You might consider writing your own pow(complex, int) and testing to see whether that's more efficient than std::pow(complex, double). Search for "binary exponentiation" for an outline of the algorithm (and remember that negative powers are just the reciprocals of the corresponding positive ones). I struggled to follow the logic of linear_interpolated_gradient(). However, the good news is that we don't need it at all. 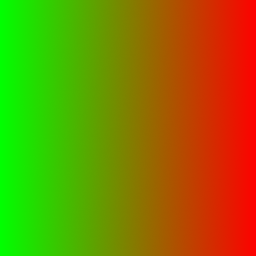 We were using it to generate a 100-colour palette from an initial 6-colour palette, but then we were using that 100-colour palette to interpolate an output colour. 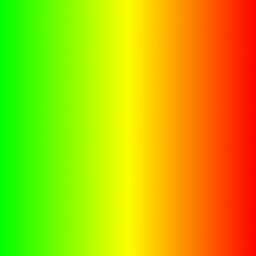 We can interpolate directly from the 6-colour palette and save all that. We'll then need to adjust the scaling for mu in main() to fit in colors.size() rather than palette.size() (which should have been written as 99, not 100 - a tricky off-by-one error). We should leave opening the file until after checking the other arguments, so that we don't overwrite an existing file if we have to exit early with an error message. (we don't need separate delta_x and delta_y - they evaluated to the same value). The verbose output stream needs to go to std::clog, not std::cout. That's necessary for pipelining to work. We can move im and re into the for loop, and avoid needing to declare them private to OpenMP. I thought that because rows have different computation times to each other, that #pragma omp parallel for schedule(dynamic) might improve execution times. But it seems that the overhead outweighs the benefit, in my testing. "Usage: -f <filename> [-p <power>] -c <real_part> <imag_part>"
" [-origin <x> <y>] [-z <zoom>] [-verbose]\n"
// Could we allow user input of these values? There's already a good answer, so I'm just going to raise a couple of small points. I had the same thought as Toby Speight about saving the square root of abs(z), but I would apply it also in the logarithm and avoid re-evaluating a known value. This may be taking micro-optimisation too far, but you can judge for yourself whether you think the hit to readability is too much to be worth it. HSL is probably a good compromise between speed and linear perception, although if you want to focus on interpolation quality over speed you could look into XYZ and Lab*. Not the answer you're looking for? Browse other questions tagged c++ performance image fractals openmp or ask your own question.